Currently, available on Mobile and PC version is coming. Follow me for more update! 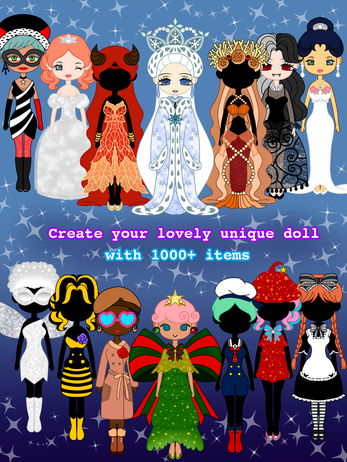 More than 1,000 items are available to dress-up your cutie Nymphie doll. You can change cloth, hair, makeup or even the background and SHARE your fashion sense with your friends and family. For more details, please visit the stores. Enjoy and don't forget to give a feedback/review if you like this app.